Groups fight project to redesign I-5/I-84 interchange in Rose Quarter, saying it won't help congestion. As photo opportunities go, Gov. Kate Brown's ceremonial signing of the new state $5.3 billion road-and-bridge funding bill last week, near the corner of Southeast 82nd and Division, was a huge success. Local officials were all smiles under a sunny sky, and Portland economist Joe Cortright and his allies were nowhere to be seen — which was precisely the point. The governor's staff initially looked to celebrate the bill's "congestion relief" at The Rose Quarter, where the state plans a $450 million project adding lanes to I-5 to reconstruct the I-84 interchange, funded in part by new tolls authorized by the bill. But a coalition of 18 groups has sprung up in recent days to oppose the project, with Cortright as its most prominent voice. Accordingly, Portland officials warned Brown's office that a Rose Quarter signing was likely to draw protesters' banners and spoil the hoped-for images. Instead, the signing was moved to where there was no freeway in sight — and no Cortright either. Now he and the coalition of his allies are taking their case to Thursday's meeting of the Portland City Council, under the motto of "No More Freeway Expansions." Cortright, a consultant, supports "smart growth," the idea that building more densely, living closer to our workplaces and using our cars less will save money and help the planet. More freeways, he and other smart growth proponents believe, encourage people to make trips they otherwise wouldn't and live where they probably shouldn't — fostering sprawl. The concept is called "induced demand" — if you expand a freeway to reduce congestion, more people will use it, creating more congestion. As a result of the opposition, the long-discussed I-5/I-84 interchange has emerged as a flashpoint in the proposed update of the Central City Plan to be considered by the Portland City Council this week. For Cortright, blocking the latest freeway project is a familiar quest. 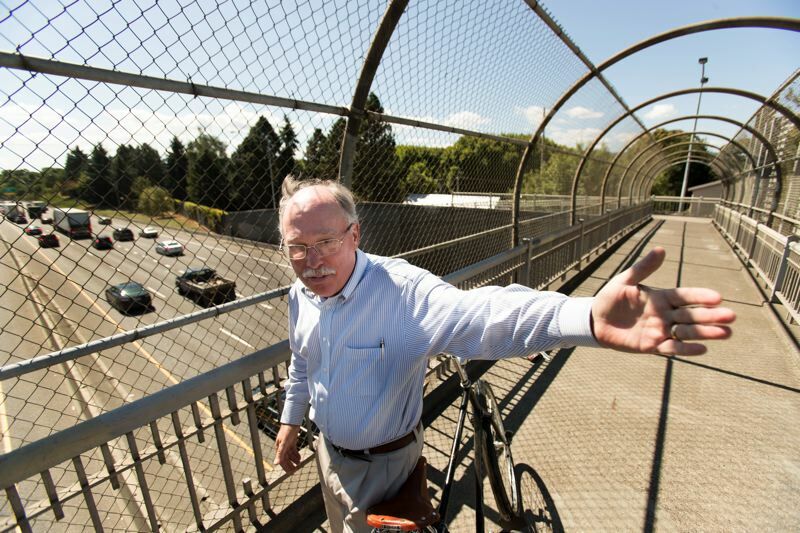 He was a prominent voice in the fight against the Columbia River Crossing, or CRC — the plan to build a new bridge and widen the freeway at I-5's connection to Washington state. A similar coalition joined Cortright at the time, and various other consultants joined in to question the assumptions driving the massive project. The divisive eight-year battle ended when Republican lawmakers in Washington state refused to back the new bridge. Now the battle is moving south on I-5, to what's known as the I-5 Broadway Weidler project. The constricted lanes and narrowly spaced off- and on-ramps in the area around the interchange there have long been highlighted by transportation officials as a major source of congestion and accidents on both freeways. The council approved a project plan to rework the interchange in 2012, although it did not fund it. The Oregon Department of Transportation highlighted the bottleneck in a Portland area congestion report released in early August. The report said the most severe recurring bottleneck on southbound I-5 is in the Rose Quarter, where congestion lasted for two hours in the morning and seven hours in the afternoon and evening, with traffic backing up three miles. The Portland Bureau of Transportation included the project in its citywide transportation plan, and the tri-county planning agency, Metro, is considering adding it to an update of the region's transportation plan. The 2017 Legislature included early planning and future construction funds for the project in the $5.3 billion transportation funding package that is expected to be the centerpiece of Brown's 2018 reelection campaign. On Aug. 30, the coalition of 18 local, statewide and national environmental and alternative transportation organizations opposing the project sent a letter to the Portland City Council asking that it be taken out of Central City 2035, the official name of the update that includes the TSP. The groups hope to persuade the council to pressure Metro and the state not to proceed with it. The coalition includes the Audubon Society of Portland, OPAL Environmental Justice Oregon, the Community Cycling Center, Neighbors for Clean Air, the NAACP chapter of Portland, and other groups. The letter highlights city leaders' decision in the 1970s to reject the Mount Hood Freeway, and says, "Members of the City Council: It's not too late to stop the freeway." Cortright says that not until the state adopts congestion pricing, a form of tolling, for I-5 — as is called for under the bill signed by Brown — will it have a true picture of the corridor's congestion needs. Other critics say that adding a new north-south freight rail line using existing right of way would do a great deal to solve the corridor's congestion problems at a far lower cost. 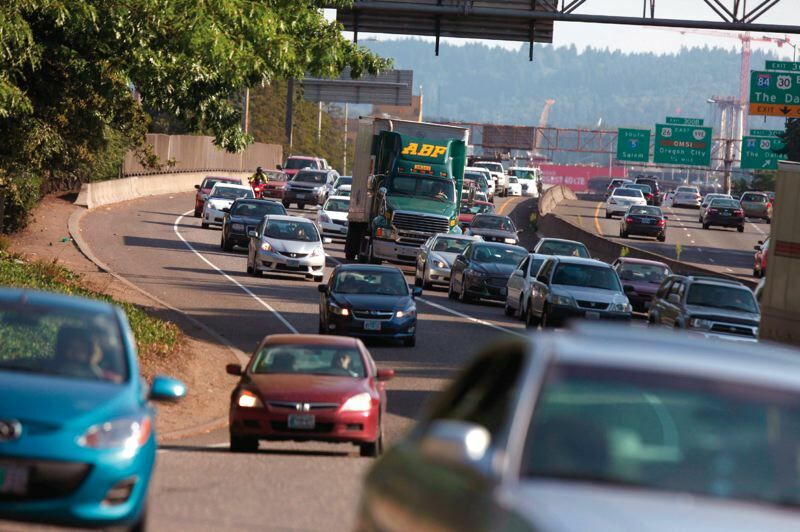 Public surveys have repeatedly found the vast majority of those in the Portland region consider traffic congestion to be the number one transportation problem. They overwhelmingly want road projects prioritized for transportation funding dollars. Local and state officials, meanwhile, have lined up behind the package, and so has the powerful trucking industry, which says congestion in Portland is costing consumers money. So do Cortright and his allies even have a prayer of succeeding? "I think we have a prayer," he said. "I don't know. My experience with the CRC was we lost every single vote until the one that we won. "So it wouldn't surprise me if we didn't convince the council at this point to pull this out of the plan. But I hope that at a minimum we can force some serious questions of what's going on, whether it makes sense and is something our community wants to do."